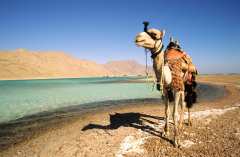 In this safari trip, you will discover and experience the Egyptian desert. You will be picked up from your hotel in the morning to the desert, where you will start your safari trip. No lunch is included in this kind of safari. It is available everyday in the morning ( 8 – 11 A.M). You will be picked from you hotel in the afternoon to start the your safari trip. Bedouin dinner and folklore show are included. This safari trip starts in the afternoon ( 11am – 7pm ) with quad bikes. Bedouin dinner and folklore show are included. Your passport and comfortable shoes are required. All transfers from hotel to the desert and back.